In today's security environment, threats can evolve more quickly than the ability to protect against them creating a security gap for most organizations. 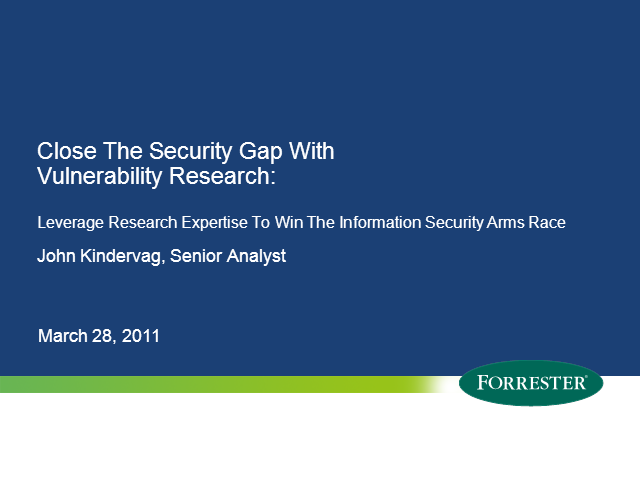 In this webcast, Forrester Analyst John Kindervag and HP DVLabs Director Dan Holden will discuss the importance of leveraging security research and threat intelligence to help close this gap. Through ongoing relationships with dedicated security and vulnerability research organizations, security professionals can gain proactive intelligence into potential future threats and how to better protect critical networks, applications and information against them.